The first time I heard the story of the Metamorphosis was through a This American Life episode where Gregor Samsa corresponds with Dr. Seuss about his troubles turning into a cockroach. If you ever get the chance, I definitely recommend you listen to it here. 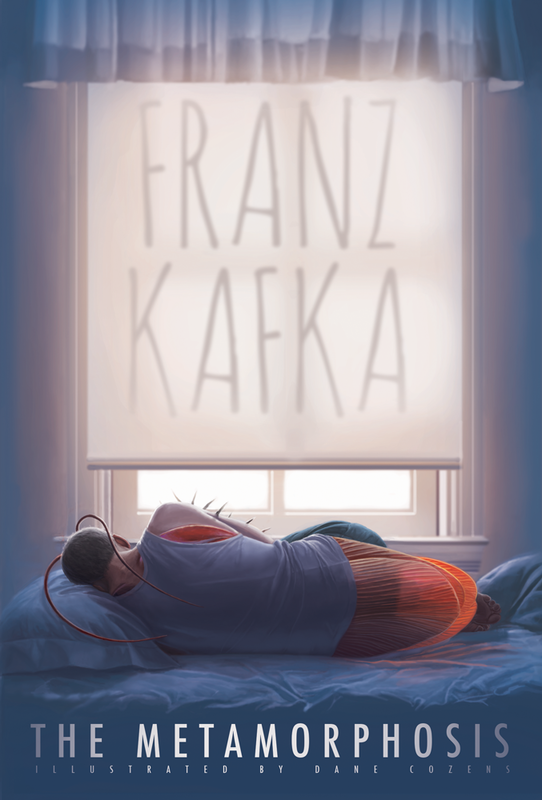 The real story of Gregor Samsa (As written by Kafka) is about a man who still lives at home helping his family pay rent. I got the sense that he already felt bad about his lot in life and it just gets crumbier as he turns into a bug. Like many people out there, I moved home after college too, and I really understood Gregor. On the more depressing instances, I just remind myself that no matter how bad I feel, at least I'm not turning into a cockroach. Sorry Gregor. That's schadenfreude. I tried to portray Gregor in a more sympathetic moment. Yes, he's turning into a cockroach, but I wanted this transformation to be a kind of beauty that he doesn't see. As I developed him, I realized he's basically a cockroach fairy.